Heavy duty work gloves made from genuine goatskin leather. Our unique thumb designs and single piece palms offer superior comfort and dexterity. Committed to safety after a century of protecting electrical workers, we thoroughly inspect the hide or leather at every step of production. Known for our durability we double stitch and reinforce every seam. P1109G: Exclusive Green Mountain patented design. Insures longer rubber-glove life and greater comfort and safety. Available with 5" or 6" cuff. Bell, Contour, or Straight cuff styles. XL39G with 4" Cowhide cuff. Patented thumb for greater comfort and durability. Also available with 2" cuff. XL58G: Heavy duty construction, similar to XL39G but with a 4" black rubber cuff. T64: Featuring unique patented thumb design, provides excellent fit, greater flexibility and sensitivity. 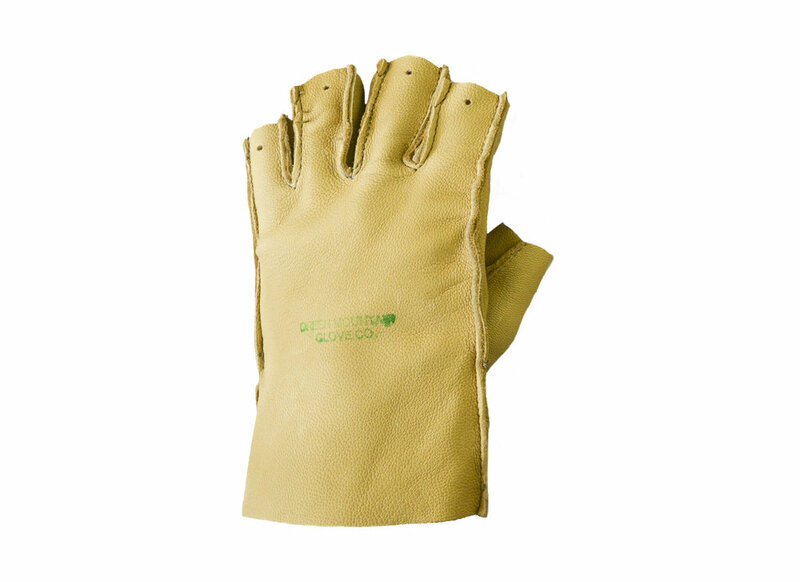 Chopper's Mitt 305G: Extra-heavy goatskin is very durable, withstands hard use and abrasion. AG47R with 2" Cuff and inside seam. 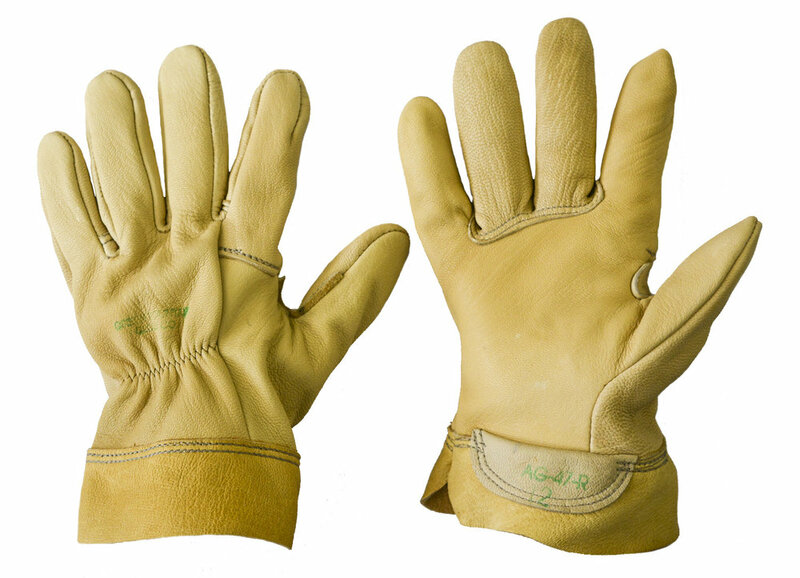 AG47R: Medium duty glove, 10.5" length, goatskin leather, nylon seamed, inseam construction. 3365: Good fitting, generous length driver's and meterman's glove, all nylon stitched, sewn inseam. AG47RO: Medium duty glove, 10.5"length, goatskin leather, nylon stitched with outside seams, double-stitching on finger tips. All protectors standard with strap, buckle and 4 inch cuff, elastic shirring optional. Also available with 5-9 inch cuff or 7-9 inch contour cuff. Bell cuff adaptable to all cuff styles. P46G: Palm member is one inch longer than conventional protector, features wing thumb. X1109G: One of our first styles, still very much in demand. Durable and economical. 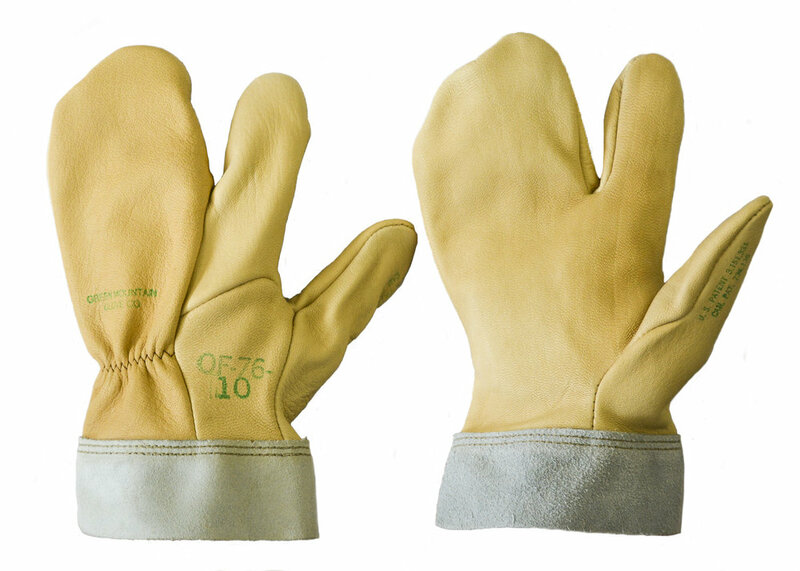 M46 - Low Voltage Protector Gloves: Light weight, durable, goatskin leather for maximum flexibility, wing thumb design. Standard 10 inch length. Also available with cuff - specify length. OF-76 - Lineman's one finger work mitten: 2" or 4" leather cuff, all nylon stitched, sewn inseam. OF-135 - Lineman's one finger lined mitten: 2" or 4" leather cuff (lined), all nylon stitched, sewn inseam. 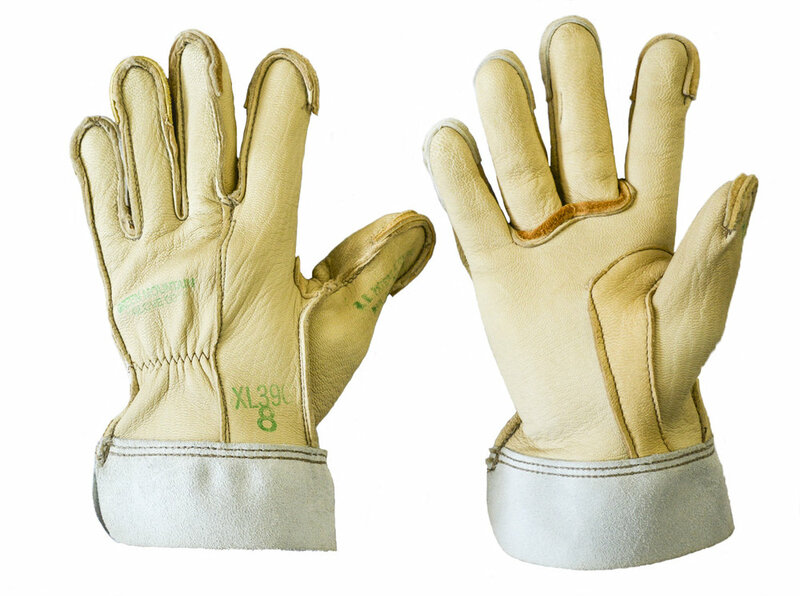 M3 - Lacers: Fingerless glove affording maximum palm protection for electronic assemble workers, sizes for men and women. Add an insulating liner to any glove for added warmth during cold weather. C10 - 10" cotton - fleeced and washable. C14 - 14" cotton - fleeced and washable. W11 - 10.5" part wool, universal liner. OF11 - One finger mitten liner, part wool.